High topicality, record numbers, great optimism among those responsible and ideal general conditions contribute to the fact that the success story of the leading european trade show for rescue and mobility will be continued at RETTmobil 2018 from May 16-18 in Fulda. 530 exhibitors from 20 nations – more than ever before – and over 28,000 visitors are expected. During the main press conference, clear commitments to the location of Fulda and the exhibition were made. One of the main topics this year is the increasing violence against emergency personnel. The “Interessengemeinschaft der Hersteller von Kranken- und Rettungsfahrzeugen e. V.” (IKR) is proud of the impressive development of the exhibition. IKR’s chairman Manfred Hommel emphasised that RETTmobil, which will become of legal age this year, would not exist without the support of the German Fire Services Association. 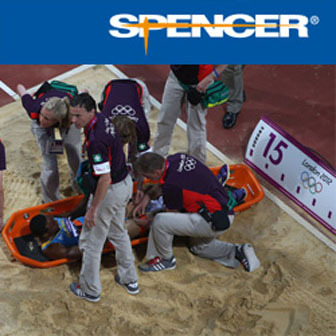 The trade show has become an institution and a central event for rescue services. Significant advantages are the uncomplicated cooperation with all participants and the city, which are also partners for the future. For Johanniter-Unfall-Hilfe, which has participated in RETTmobil from the very beginning, the annual presentation in Fulda is obligatory. As Vice-President Alexander Graf Neidhardt von Gneisenau further emphasised, the trade show offers an excellent opportunity to present the organisation as a strong partner in rescue service and civil protection, but, above all, as an attractive employer. Numerous positions in the rescue service are already vacant. That is why it is of existential importance to continue to inspire young people for the rescue profession. Self-protection and violence prevention in the rescue service are more challenges to which RETTmobil will again make an important contribution. Hartmut Ziebs, President of the German Fire Services Association, underlined the commitment to the Fulda location of Fulda and the trade show, at which important developments have always been discussed and brought forward. Sometimes helpers also needed help. For this reason, the “Help for Helpers” foundation of the German Fire Services Association supports emergency service personnel in coping with particularly stressful experiences. Now the task was to prepare emergency forces against violence. Parallel to RETTmobil, the 5th symposium of the foundation will take place in Fulda. The topic is the psychosocial emergency care of emergency personnel. Only together could all rescue and aid organisations as a family master the new challenges. The working group of fire brigades in rescue service is again helping to shape the training sector this year, reported spokesman and fire director Jörg Wackerhahn. Topics include threats and terror, the importance and impact of social media in public relations work, violence against emergency forces and additional personnel. The working group provides information on training opportunities with fire brigades, which also offers attractive jobs for academics. For the 18th RETTmobil, an extensive and top-class training programme has been prepared with 11 workshops and 8 modules with 45 speakers. The most frequent topic that has occupied the rescue service in the recent past is the special deployment situation in the event of terror. As Congress Director Professor Dr. Peter Sefrin further reported, topics also include care of palliative and overweight patients as well as new devices that can be seen in the exhibition halls. 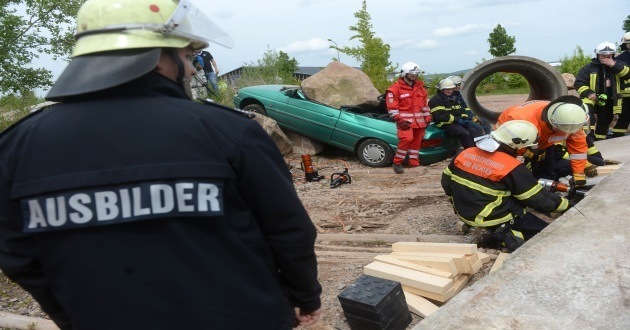 The Fulda Fire Department has once again prepared an interesting training programme for emergency personnel this year. Fire Chief Thomas Helmer pointed to demonstrations of the height rescue group as well as rescue, transport and handover of patients under a mechanical, fully automatic chest compression. In addition, a new telescopic mast platform with a height of 42 meters will be used. The Bundeswehr is once again presenting itself as an employer and providing information on military and civilian training and study opportunities. In addition, models of two aircrafts used for evacuation and emergency medical first aid over long distances will be presented. Fulda’s Mayor Dr. Heiko Wingenfeld praised the outstanding offer and the partnership between the city and the exhibition organisers, which leads to the best possible conditions, including additional parking spaces this year. The cooperation between the city and Messe Fulda GmbH is excellent. For RETTmobil, the exhibition grounds will be available for years to come. With the increasing challenges for rescue services, the importance of the exhibition is also growing. Numbers and information regarding RETTmobil 2018 were presented by Christian Nicholas of Messe Fulda GmbH. The trade show is open daily from Wednesday, May 16th, to Friday, May 18th, 9am to 5pm at Messe Galerie Fulda. Admission: 15 Euro. RETTmobil 2018 will be opened on Wednesday, May 16, at ten o’clock by Dr. Frank-Jürgen Weise, President of Johanniter-Unfall-Hilfe and patron of the fair.